Studies reveal that Argan Oil is one of the richest sources of omega fatty acids and plant sterols known for Cholesterol reduction. The wide range of plant sterols and stanols are proven to have Cholesterol reducing effects. They also have other benefits for cardiovascular problems. New, research also shows that essential fatty acids from plants was twice as effective as from fish oils for heart disease. It is now well known that phytosterols can lower cholesterol levels safely and effectively. Studies show that 2-3 grams of phytosterols taken each day for just for 3-4 weeks can reduce LDL cholesterol levels by about 10% . 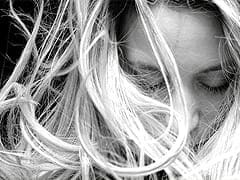 They also work with or without statin drugs and with none of the side effects . These benefits come from taking in plant sterols naturally through diet. Mono unsaturated fatty acids reduce blood levels of LDLs (“bad cholesterol”) without affecting HDLs (“good cholesterol”) as long as they are used as replacement of saturated fatty acids. Polyunsaturated fatty acids reduce blood levels of LDLs but HDLs too. However they must be part of our diet since they provide the essential fatty acids: linoleic acid and alpha linolenic acid. Studies of the sterols Spinasterol and sitosterol, naturally occuring sterols found in culinary Argan Oil, suggest that spinasterol, as well as sitosterol, and Stigmasterol  inhibit cholesterol absorption. 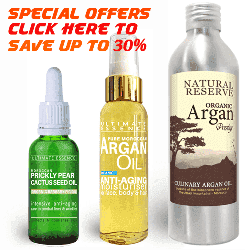 Argan Oil is also rich in linoleic acid which increases production of prostaglandins 1. This is beneficial for people with rheumatologic conditions and cardiovascular problems. However, not all Omega fatty acids are the same. In fact studies identified that Omega 3 and Omega 6 essential fatty acids derived from plant sources were much more effective for heart disease than those derived from fish oils! How do Sterols and Stanols Reduce Cholesterol? They work because the chemical structure of sterols and stanols found in plants is very similar to cholesterol. There are many nutrients found in Culinary Argan Oil that are active in the maintenance and repair of the membrane that encloses the cells. Being rich in oleic acid culinary Argan Oil means that it is particularly interesting for the general regulation of blood cholesterol. 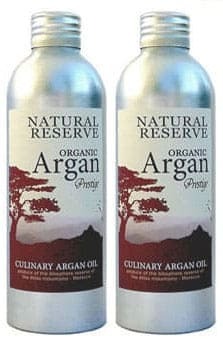 Toasted, edible, Organic Argan Oil for cooking, eating & dietary supplement. 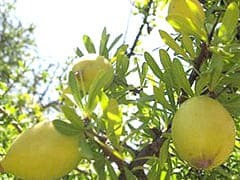 Furthermore Argan is high in Saponins. Saponin are of interest for regulating blood sugar and may prove of benefit for the management of diabetes. Spanonins also reduce the body’s absorption of cholesterol from the fatty foods. This may explain why multiple studies found that 1 to 2 tablespoons per day ( 15ml to 30ml of this oil during a month naturally maintain lower cholesterol levels. “In a recent study Hyperlipidemia was induced by high calorie and cholesterol (HCC) diet administration in 16 rats. Eight rats were treated with culinary Argan oil (1 ml/100 g weight) daily by oral route during 7 weeks (treated group). Control animals were also fed with HCC diet for 7 weeks. After 7-week treatment with Argan oil, blood lipoproteins were significantly reduced. Total cholesterol decreased with 36.67% (P<0.01), low density lipoprotein (LDL)-cholesterol in 67.70% (P<0.001), triglycerides in 30.67% (P<0.05) and body weight in 12.7% (P<0.05). High density lipoprotein (HDL)-cholesterol concentration remained unaltered. In a study a total of 60 subjects were divided into two groups. After 21 days researchers discovered that good HDL cholesterol levels in the blood had gone up significantly in subjects taking an edible Argan Oil supplement. High triglycerides levels in the bloodstream have been linked with cardiovascular diseases such as atherosclerosis and stroke. Research revealed that the levels of triglycerides in the bloodstream were also reduced significantly in the culinary Argan oil test group. Research was carried out on 96 subjects. 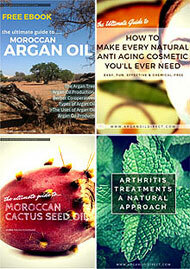 One group of 62 participants consumed 15 ml of Argan Oil per day / around 1 tablespoon. Much lower LDL cholesterol levels as well as lower apo-B levels were found in tests on the Argan Oil group. Lipoprotein(a) concentrations were also found to be at a reduced level the Argan Oil group. Culinary Argan Oil consumption appears to inhibit the abnormal fatty deposits which develop within artery walls. Note #1:Additional Phytosterols intake is not advised for people with the very rare inherited disease of phytosterolemia. Note #4: Some brands of margarine and foods products advertise added plant sterols for the same reason. 100% email privacy guaranteed. 1-click unsubscribe. What does Argan Smell Like?